Hard money is a way to borrow without using traditional mortgage lenders. Loans come from individuals or investors who lend money based (for the most part) on the property you’re using as collateral. When loans need to happen quickly, or when traditional lenders will not approve a loan, hard money may be the only option. Let's review how these loans work. Most loans require proof that you can repay them. Usually, lenders are interested in your credit scores and your income available to repay a loan. If you have a solid history of borrowing responsibly and the ability to repay loans (as measured by your debt to income ratio), you'll get approved for a loan. Getting approved with a traditional lender is a painfully slow process – even with great credit scores and plenty of income. If you have negative items in your credit reports (or an income that is difficult to verify to your lender’s satisfaction), the process takes even longer and you might not ever get approved. Hard money lenders take a different approach: they lend based on collateral securing the loan, and they are less concerned about your ability to repay. If anything goes wrong and you can’t repay, hard money lenders plan to get their money back by taking the collateral and selling it. The value of the collateral is more important than your financial position. Hard money loans are generally short-term loans, lasting from one to five years. You wouldn't want to keep them much longer than that anyway, because interest rates for hard money are generally higher than they are for traditional loans. If hard money is expensive, why would you use it? Hard money has its place for certain borrowers who cannot get traditional funding when they need it. Speed: because the lender is mostly focused on collateral (and less concerned with your financial position), hard money loans can be closed more quickly than traditional loans. Lenders would rather not take possession of your property, but they don't need to spend as much time going through a loan application with a fine toothed comb – verifying your income, reviewing bank statements, and so on. Once you have a relationship with a lender, the process can move quickly, giving you the ability to close deals that others can’t close (that’s especially important in hot markets with multiple offers). Flexibility: hard money agreements can also be more flexible than traditional loan agreements. Lenders don't use a standardized underwriting process. Instead, they evaluate each deal individually. Depending on your situation, you may be able to tweak things like the repayment schedules. You might be borrowing from an individual who’s willing to talk – not a large corporation with strict policies. Approval: the most important factor for hard money lenders is collateral. If you’re buying an investment property, the lender will lend as much as the property is worth. If you need to borrow against a different property you own, that property’s value is what the lender cares about. If you’ve got a foreclosure or other negative items in your credit report, it’s much less important – some lenders might not even look at your credit (although many lenders will ask about your personal finances). Most hard money lenders keep loan-to-value ratios (LTV ratios) relatively low. Their maximum LTV ratio might be 50% to 70%, so you'll need assets to qualify for hard money. With ratios this low, lenders know they can sell your property quickly and have a reasonable shot at getting their money back. When does Hard Money Make Sense? Hard money loans make the most sense for short term loans. Fix-and-flip investors are a good example of hard money users: they own a property just long enough to increase the value – they don’t live there forever. They’ll sell the property and repay the loan, often within a year or so. It is possible to use hard money to get into a property and stay there, but you’d want to refinance as soon as you can get a better loan. Hard money is not perfect. While it seems simple - an asset secures the loan so everybody’s safe - hard money is only one option. It is expensive, so things have to work according to plan for profits to materialize. 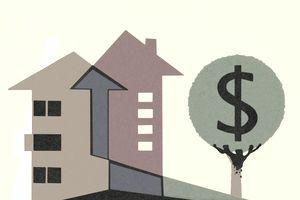 Hard money works differently from loans you may have used in the past: lenders might use more conservative methods to value property than you expect. Learn more about hard money pitfalls. Cost: hard money loans are expensive. If you can qualify for other forms of financing, you might come out ahead with those loans. For example, FHA loans allow you to borrow even with less-than-perfect credit. Expect to pay double-digit interest rates on hard money, and you might also pay origination fees of several points to get funded. If you can’t get approved for a loan because your property is in need of serious repairs, an FHA 203k loan might pay for rehabilitation at a lower cost. To borrow money, you’ll need to get connected with investors. To do so, find out who in your area lends money based on collateral. Local real estate agents and real estate investor groups are a good source for names. Reach out to a few lenders, discuss your needs, and develop a relationship so that you can fund projects quickly and easily when the time comes.